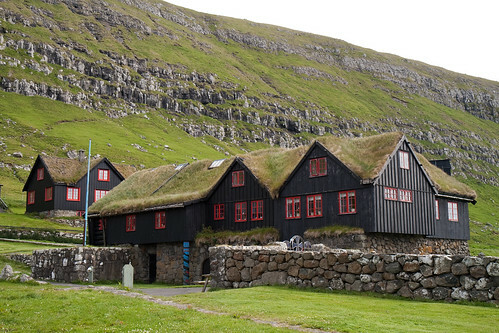 An old turf-roofed house in the small village of Kirkjubøur on the the island of Streymoy in Faroe Islands is reportedly The Oldest Still Inhabited Wooden House in the World. The oldest part of the house called Roykstovan, (smoke room) dates back to 11th century. Other parts were added later. Another old room known as loftstovan (loft room) was in existence in 1298. The stórastovan (large room) is from a much later date, being built in 1772. The house including the big farm around it is called Kirkjubøargarður (King's Farm). It was originally the residence of the bishop of the Diocese of the Faroe Islands and is now owned by Faroese government. The oldest part (Roykstovan) houses a museum, however its other portions are occupied by a local (Patursson) family who have been the traditional tenant of the house since 16th century and can trace their ancestors back over 17 generations who have lived there. The house is made of coarsely hewn timber logs coated with tar. It rests on foundation of thick stone walls. 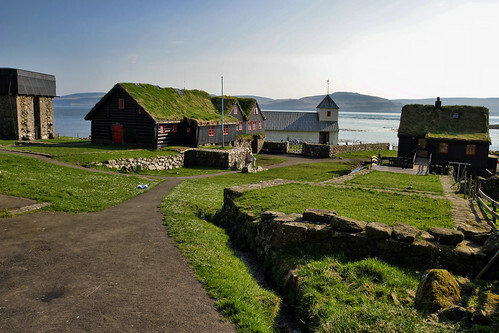 The Island lacks timber and as per local legend, the house was initially built in Sognefiord, Norway and then disassembled, its logs numbered and floated to the Kirkjubøur, where these were reassembled. Note: I had originally written about this house as "Oldest Wooden House In Europe", however further search on the Internet reveals that it is also the "The Oldest Still Inhabited Wooden House in the World". I have therefore made this fresh post by using text/images from earlier post and adding more information/images in it. A small Swedish eldhus (literally "fire house") currently located in the at The Zorn Collections, or Zornsamlingarna, a museum, located in Mora, Sweden. It is claimed to be Oldest Wooden House in Sweden. A wooden house known as Bethlehem House (Bethlehem-Haus) in the small village of Schwyz, Switzerland. It is also claimed to be Oldest Wooden House in Europe. Eldhus (literally "fire house") are a type one-room timbered houses in Sweden which consisted of a long room with a fireplace in the centre. This particular Eldhus, which is now located in The Zorn Collections, or Zornsamlingarna Museum in Mora, Sweden. As per tree-ring dating (dendrochronology), the timber used to build the house dates from the year 1237. It is claimed to be oldest in Sweden/Europe. Bethlehem House (Bethlehem-Haus), in Schwyz in central Switzerland was built in 1287 and was last occupied till the 1980s. 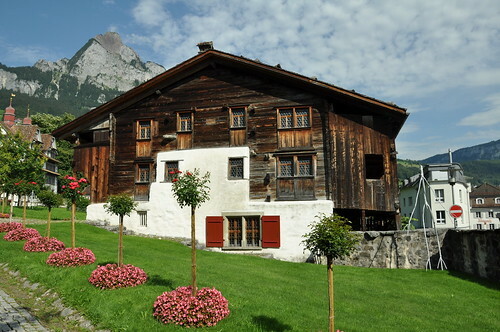 It is a museum now and is claimed to be oldest surviving wooden house in Switzerland/Europe. Special Note: This post is based on the information currently available on the Web. Due to inherent insulating properties the wooden houses are more comfortable than stone in cold regions and it is possible that there may be other older wooden houses in temperate regions closer to Arctic or in higher regions like Tibet, Ladakh etc. I will be happy if some one can find houses older than these houses. Note: These houses are not to be confused with Oldest Wooden Structure, which is a five-story Pagoda in Hōryū-ji Buddhist Temple Complex in Ikaruga, Nara Prefecture, Japan dating back to early seventh century. This post is about liveable homes/houses.